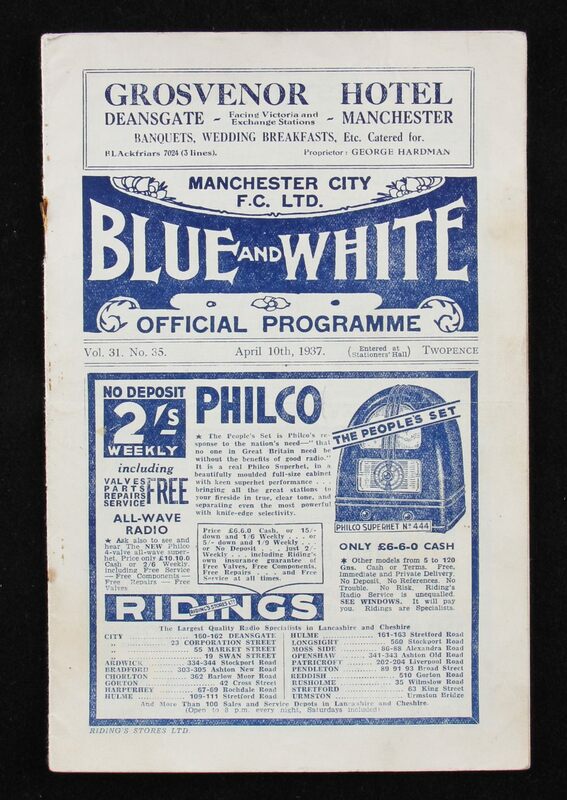 1936/1937 Manchester City v Arsenal match programme dated 10 April 1937, Division 1 championship decider. Fair-Good, team changes. 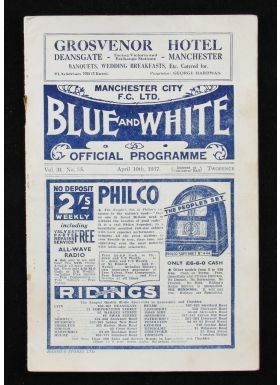 NB: City won 2-0.